Investing for your retirement in Seattle is important, and when you want annuities to form part or all of your strategy, it’s only natural that you should want the best rates. Income for Life is here to ensure that you can navigate your options in the way that will maximize your income payment in retirement. Work with someone who is passionate about getting you to succeed in retirement. Learn how to look beyond the percentage points and understand all the contracts, riders, and fees that might be hidden in the fine print. 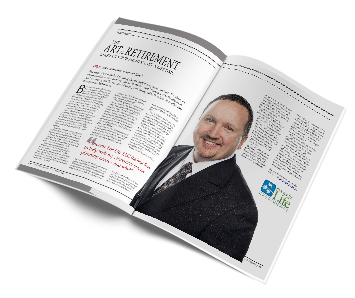 Get expert guidance on which type of annuity to choose. Make sure that your purchase of an annuity doesn’t leave you without a sum of emergency cash that you could use for unexpected expenses. Navigating the choice of annuities isn’t easy for most people, but we’re here to take the hassle out of the process. When you’re confident that you’ve chosen the right annuity, you’ll sleep better at night, knowing that you have retirement income that won’t let you down. There are multiple types of annuities and different scenarios where different ones would make sense for different people. However, if your eyes glaze over when you read all the definitions of the different types, we don’t blame you. The point is, you want to choose a place for your money that will give you the maximum income that lasts your whole lifetime. You don’t want to outlive your retirement savings, and you definitely don’t want to bring in a monthly income that is substantially lower than it could have been if you had invested it differently. That’s where our financial advisors come in. We will guide you to getting the annuity products that fit you best and provide the best return.